Posted on November 21, 2012 by Julia	by Julia. I’m a huge fan of the website Nourished Kitchen. I find their site is really good at creating a sense of nourishment not only for the body but beyond that. Almost anybody can put together a bunch of sugary ingredients for a pecan pie and have it taste pretty darn good but what about how it makes you feel about how it could be impacting your health? It takes added skill to not only come up with a recipe that is delicious but one that doesn’t leave you feeling like you’ve done something terrible to your body. They are just really good at creating recipes that tastes great and you can feel good about. That’s why several months ago I signed up for their newsletter. 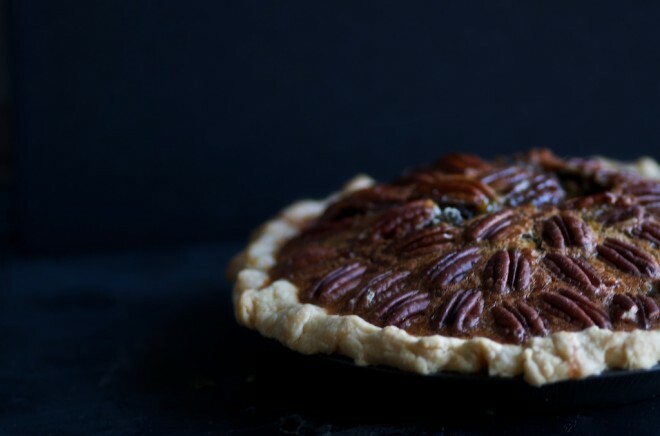 Today I received this amazing recipe for Maple Pecan Pie in my inbox and had to share it with all of you. Here are the ingredients. If you’d like to actually make it take a look at Nourished Kitchen for the instructions. I’m definitely going to give it a try during the holidays.